The water you receive in your home is hard water, which means that you need a good water softener to carry out your daily needs including washing clothes. However, living in an urban city means that you’re constrained for space and you need a water softener that fits in perfectly within the small space that you have. And this is where this grain water softener comes in. 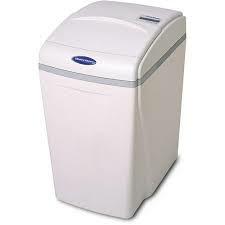 The WaterBoss 220 22000 Grain Water Softener is a compact-sized softener which comes with a built-in micron whole house dirt and sediment filter. You will never waste water or salt with this system as it has a regeneration operation in it and a factory installed by-pass valve in it. What’s in store? The product weights 73.2 pounds and has product dimensions of 18.8 x 14.8 x 25.8 inches. Being beige and gray in color, it has a textured finish and made of plastic. With a corded-electric power source, this rectangle-shaped item uses 12 volts to run without any use of batteries. Its flow rate is 12 GPM, water consumption 12 GPH and temperature range 40-120 degrees F.
Designed to offer whole-house efficiency, this product can soften up to 70 grains per gallon of water while also reducing 10 part per million (ppm) of ferrous iron. It can also filter dirt and sediment it to 20 nominal microns. However, it will suit families with up to 4 members only. It can be easily installed into tight spaces and is great for homes where space is a concern. Known to be a water softening powerhouse, it regenerates in less than 20 minutes when set at a 2.5 lbs salt setting and measures on 14 ¾ inches in width, 18 ¾ inches in depth and 25 ¾ inches tall. A faster regeneration time allows this product to use less water during the entire process. An in-house technical support ensures the user that they can get in touch with the manufacturer in case they experience any problems with the product. Unlike other water softeners which make a world of noise when switched on, this unique product offers whisper quiet operation and one often needs to check whether the machine is on or not! This machine is good for indoor use only. 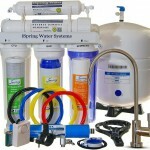 The manufacturer offers a 3 years warranty on the valve and a 10 years warranty on the media tank and its outer cabinet. People who are using this product have stated that this is a great little softener which comes with everything that is needed in the package itself and is quite easy to install. With an incredible salt consumption, it has become a popular choice amongst small families as it takes very little space to be installed and offers a very quiet operation. Moreover, the customer service has been found to be quite effective and current users suggest that the company helps them walk through any issues easily without wasting time. In case any defect is found on the product at the time of delivery, the company immediately exchanges it with a brand new one without any questions asked. A few users have reported that the water kept leaking from the device. Being suitable for only small families with up to 4 people, many large families complain that they cannot make use of this water softener at all. With more water usage, the water does not get softened as it should. Also, some people have complained that being effective only for small families, this water softener system is quite expensive and a cheaper alternative can be purchased with similar benefits. If you’re looking for a better water softener and have good space in your home to keep the water softener in, you will find better options out there. 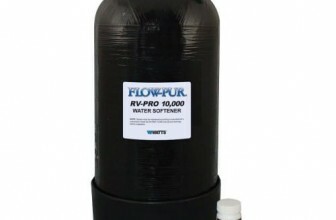 On the whole, the water softener does stand up to its reputation but comes in for a hefty price range. It might not be as powerful as some of the other water softeners out there but is a great choice when it comes to meeting a small family need. More, the softener doesn’t make any sound and so you will be able to work through easily without having to hear to a constant whizzing sound. 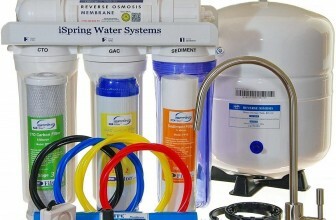 If yours is a small family of 4 and you are facing water hardening issues, then this is just the product for your home. Being compact and easy-to-use, it solves all your water-related issues be it dry and itchy skin or stained and spoilt appliances due to the hard water. A great buy equipped with superior-quality parts for small families only. Need something that can treat higher volumes of water? 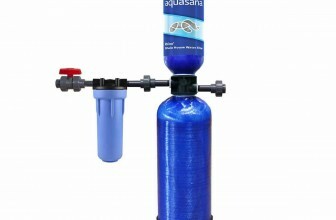 Read our review on the Aquasana Rhino EQ-600 water filtration system to see if it fits your needs!